The airplane that briefly became the Piper Sport becomes itself again. Five reasons why that’s a very good thing. Introduced just over a decade ago, the Czech Sport Aircraft Sport Cruiser is one of the most popular Light Sport Aircraft (LSA) on the market. 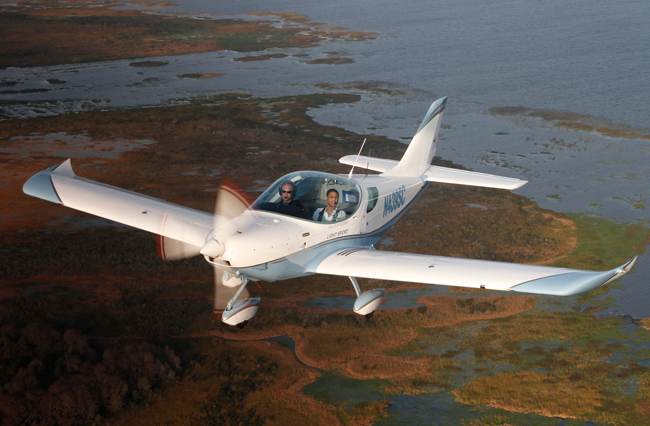 With more than 600 operating worldwide and more than 300 in the United States alone, the two-seater continues to impress pilots and to get better. I’d heard good things about the plane from friends who’d flown it, but until a few weeks ago, I’d never flown it myself. Honestly, now I’m kind of kicking myself for waiting so long. Flying can be a pain sometimes, when the weather isn’t cooperating with our plans to fly an easy VFR trip, when a mechanical issue has you grounded and chasing down a mechanic on the field instead of frolicking around puffy white clouds topside. Then again, sometimes everything goes right. Sometimes, it’s a perfect day to fly and everything cooperates to make it a magical experience. That was my first flight in a Sport Cruiser, which I recently flew at the Sport Aviation Expo in Sebring, Florida, buzzing around above in a sport plane while the sports cars buzzed around the Grand Prix track below. It’s been several days since then, but I think there might be traces of the smile left on my face. Yup, that’s why we fly. I normally hate to fly at airshows. There are too many airplanes up and about, it can be a pain to get the airplane to the flight line, and then it can take a long time to get to the number-one position for takeoff. Little of that was true for Sebring, though on Saturday there was a good bit of air traffic coming in to check out the show. When the FAA, along with industry groups, put together the LSA category a decade ago, I was impressed by how broad a range of aircraft the new rules would allow, everything from powered lift to conventional airplanes. I think the FAA had in mind a rule that would best apply to light, two-seat planes reminiscent of some of the most popular four-seaters in aviation history. Think Cessna 172 and Piper PA-28 (Archer, Warrior, 140…take your pick). One of the biggest mistakes the agency made, however, was in mandating a crazy-low stall speed. Their reasoning was understandable. The slower an airplane stalls, the safer it will be, but there’s a cost for low stall speeds. To get them, you need a very lightly loaded wing, and that almost always equates to tricky handling in breezy conditions. Indeed, a few of the most popular light sport airplanes, the Flight Design CT series, the Remos GT and the Vans RV-12, are all a handful on takeoff and landing when it’s windy. A few LSA have overcome this in very conventional ways. The CubCrafters Carbon Cub and the Legend Aircraft Legend Cub, both LSA versions of the classic Bedford, Pennsylvania-bred Taylor/Piper Cub design, handle like airplanes you’ve probably flown before. But planes that push the 120-knot speed limit of LSA are often hard-pressed to combine low landing speeds with relatively high cruise speeds—indeed, many are capable of flying a good deal faster than 120 knots and need to be set up to keep the speeds down, often by adjusting their props to a finer pitch. You probably already know where this is going, that the Sport Cruiser is remarkable in its ability to go fast very nicely and to go slow just as nicely. When you think back to the Cessna 172 and Piper PA-28, they both have that same characteristic. They fly nicely in all phases of flight. In fact, one of the complaints about both airplanes early in their lives was that they were too easy to fly. Cessna and Piper leaders at the time laughed off the criticism and kept right on delivering airplanes to happy owners. Fifty years and tens of thousands of airplanes later, I guess they knew what they were doing. Beneath the big glass dome, the Sport Cruiser boasts a wide and comfy cockpit. The red handle below the center display (a Garmin aera 796 in an AirGizmo mount) is the whole-airplane recovery parachute system handle, a great feature in any plane. 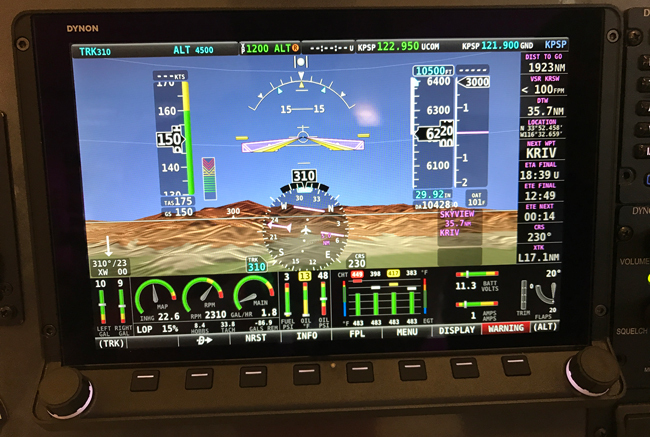 Above the pilot-side display is the autopilot controller—yes, it's an LSA. The circuit breakers and the fuel selector are all placed in easy-to-see and easy-to-reach locations. The story of the Sport Cruiser is a long and winding one for the airplane, being just over 10 years old. It’s been through a few name changes and ownership changes, and the airplane was marketed by Piper Aircraft for a short time as the Piper Sport. There are still Piper Sports out there, around 80 of them, but they’re for all intents and purposes identical to other Sport Cruisers. Designed in the early 2000s, the Sport Cruiser is built in Czech Republic by Czech Aircraft Works, now known as Czech Sport Aircraft, in Kunovice, Czech Republic. The country has a long history of aircraft manufacturing experience, having manufactured numerous Soviet Designs during the Cold War era, including large multi-engine airplanes and jet fighter/trainers, including the L-39, a popular jet among private owners in the United States. The basic design of the Sport Cruiser is in keeping with the tradition of Czech design while being a thoroughly modern-looking model. It’s a conventional tricycle-gear, all-metal, two-seat, side-by-side airplane with clean, straightforward lines and a large bubble canopy that gives remarkable visibility and great headroom while making it pretty easy to get into and back out of the plane. Beginning in 2010, Piper marketed the plane, with very minor changes, as one of its own for around a year. Then, apparently some kind of disagreement came up between the Czech manufacturer and the American airplane company, and Piper abruptly canceled the partnership. While Piper’s course since then has been smart, it cancelled its single-engine jet program and focused on its strength, selling its great training aircraft, included its PA-28 singles and PA-44 Seminole training twin, along with its single-engine transportation airplanes, which include the pressurized piston-single Mirage (now the M350) and the Meridian. The Piper Sport, while a worthy addition to the company’s lineup, even if adopted, would have added little to the bottom line. Piper’s GA competitors Cirrus and Cessna arrived at a similar conclusion and canceled their LSA programs, Cessna after having built a number of its Skycatcher LSAs and Cirrus before its involvement had even gotten to the point of finalizing a design. The Sport Cruiser has soldiered on. It is, of course, an S-LSA, meaning you buy the completed airplane, and while it’s not cheap, at between $180,000 and $190,000, based on options, it’s a nicely finished airplane that costs very little to operate while delivering great across-the-board performance rivaling or surpassing that of some great conventional four-place singles, the Cessna Skyhawk or Piper Warrior for example. On top of that, the Sport Cruiser costs less to buy, maintain and operate than those Part 23 airplanes. As an S-LSA, it can also be used for limited commercial operations. The current U.S. distributor uses the Sport Cruiser to conduct a wide range of training. Although it’s not obvious that LSA could be used for instruction in earning a private or commercial rating, an S-LSA can be. There’s also the fact that you don’t need a regular FAA medical to fly the Sport Cruiser as an LSA. 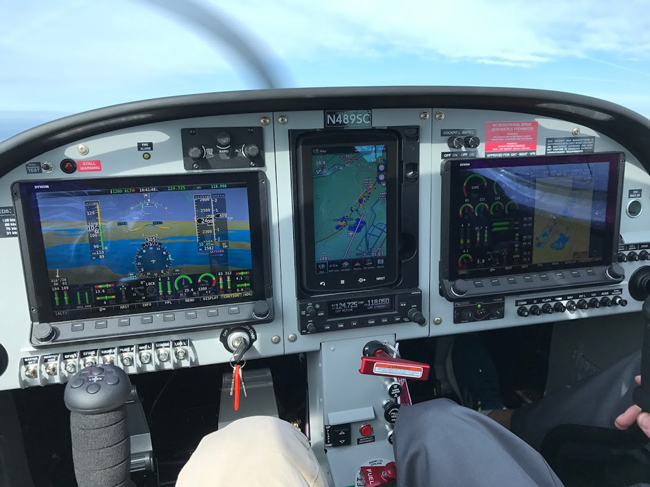 Patrick Arnzen of US Sport Aircraft, the United States distributor for the Sport Cruiser, told me that a good percentage of the company’s business has been from pilots who were moving down to an S-LSA after flying a Bonanza or a Cirrus. 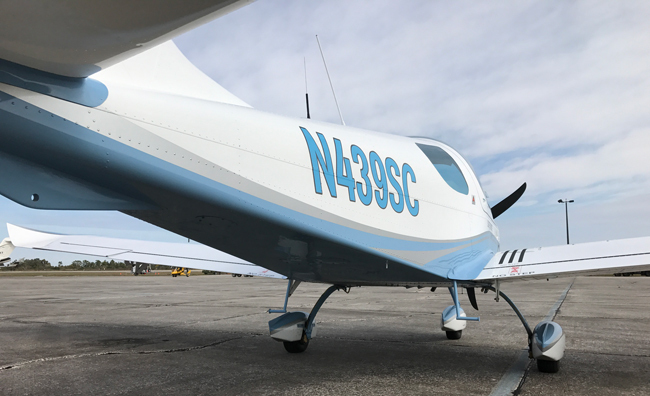 With the advent (hopefully) of the easier third-class pilot medical, we’re curious to see if the LSA draw remains as strong when pilots flying under the new FAA physical requirements can do their thing in conventional Part 23 airplanes. One of the nice things about LSA is that costs are cheaper all around. The Cirrus SR22 parachute repack costs owners around $15,000, while a similar (though not identical) maintenance event for LSA owners will likely cost them around $1,000. Owners with a simplified maintenance certificate can do much of the work on their own plane. The LSA-style BRS parachute is cheap to add as an option and even cheaper to overhaul. As is the case with all low-wing airplanes, to get into the Sport Cruiser you need to climb up on the wing to get in. Because this plane is so compact, this is a really easy thing to do. There’s a step to assist, but I think some moderately flexible folks could just step up directly onto the wing. It’s easy. The canopy, a big glass bubble affair, hinges at the front, allowing a ton of room to maneuver into a seat. The method is to grab hold of a handle built in between the seats and then step in one leg at a time. It might be a little harder for pilots with limited mobility, but it’s still doable. I’m not a big or tall person, and it was easier than getting into a Cirrus, for example. 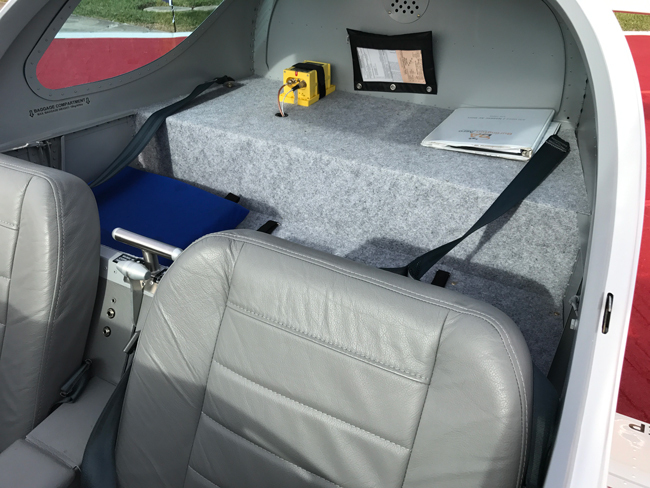 There’s no back seat—LSA are two-seaters (at maximum)—but there’s a good-sized baggage hold that could accommodate a couple of good-sized duffle bags and/or various odds and ends, such as a pilot bag or spare headset. For additional storage, and this is cool, there are two wing lockers, one on each side of the plane and about the size of a breadbox—for those of us who remember what a breadbox is or why that’s a thing. You can’t access the contents in flight, but there’s room for a few additional items to make up for the relative lack of storage space in the cabin. In each wing root is a large storage locker for keeping things you might not want in the cockpit with you, even given the ample storage section behind the seats. The cockpit itself is terrific. If you’ve ever trained in a 152, you're bound to be amazed by the sheer amount of space tween the two front-seat occupants, and with ample headroom and side room, the spaciousness of the Sport Cruiser is nothing short of luxurious. There are control sticks, which seems almost standard-issue in LSA. The use of sticks cuts down on mechanical complexity and weight while making it harder, though not impossible, to put things on your lap. The seats are fixed, dense foam cushions with a built-in framework. The cushions rest on a fixed framework below and against the cockpit wall behind. So they’re not adjustable, but by inserting cushions behind the seat backs. Then you can adjust the rudder pedals as suits you. I quickly found the perfect seating position with no extra cushions and the pedals pulled all the way back toward me. Once inside the cockpit and buckled up, you reach up and pull the canopy down and then latch it on both sides. There’s a lever between the seats that latches and releases the canopy, which is one element of the design I didn’t like. Seems as though it would be too easy for someone to accidentally release the canopy latch in flight. I’d love to see some kind of guard there to prevent just such an accident. Between the seat backs are the canopy release and a handle to brace yourself when getting into the plane. One great feature, which was originated around the time of the Piper Sport, is a sliding accordion fabric sunshade that you can slide forward to keep things less sunny up top or keep it retracted to get the full effect of all that glass on a nice but not so hot day. 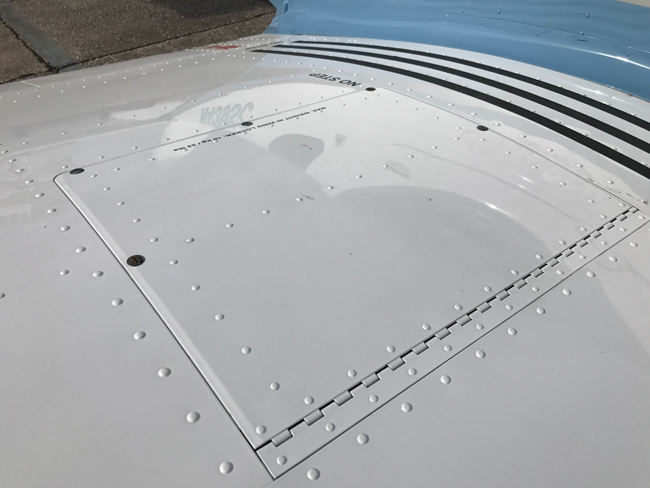 There are two built-in sliding window vents that can be opened in flight, a kind of refined version of the classic Piper “holler holes” that work great and don’t create as much noise as you’d think. Up front is the Dynon SkyView HDX, a new version of the company’s popular flat-panel system. There’s also, you might note, a red handle on the panel that looks a lot like it might be for deploying an emergency whole-airplane recovery system parachute. And that’s what it is. Arnzen told me that almost every Sport Cruiser goes into a customer’s hands with a chute. The Dynon SkyView HDX flat-panel avionics system offers stunning displays, synthetic vision and a wide variety of safety utilities. 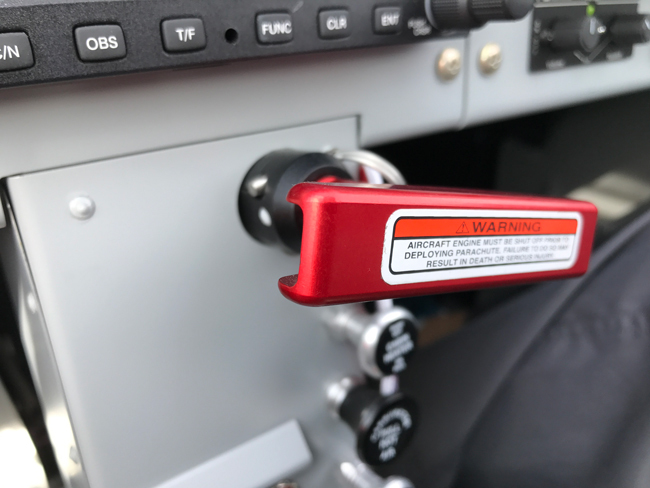 Smartly engineered anchor points make it easier for the pilot to make the right touch in bumpy conditions. SkyView HDX is also highly customizable, so pilots can set it up as they like it. It was midmorning on Saturday at Sebring when Patrick and I fired up the Rotax 912 ULS and taxied out to go flying on a gorgeous late winter day in Central Florida. The taxi itself was instructive. The Sport Cruiser taxis very easily. It’s also easier to handle in a crosswind than some LSAs. For takeoff, we had an intersection departure—not my favorite option, but at the airshow that was the procedure for airplanes on display, and the Sport Cruiser needs very little runway. I retracted the one notch of flaps at around 300 feet and we climbed out, initially at a faster airspeed than called for (out of habit, my bad) but when I slowed it down to a good cruise climb for the plane I was actually in, we were rewarded with a very nice rate of climb and a still surprisingly decent amount of visibility out front. In the air, the Sport Cruiser handles really nicely. There’s very little of the adverse yaw you experience in some LSA. It’s light on the controls, which shouldn’t be too surprising. It is a light airplane, after all, just 1320 pounds at max takeoff weight and 855 pounds empty. One thing I’m not crazy about is the trim switch, which is situated atop the stick, making it hard for me to get my thumb wrapped around the top in a natural-feeling way. And there’s not a lot of feeling of feedback from applying trim, which is, I’m sure, because the plane is, as I said, light enough on the controls that it’s easy to apply enough pressure to counteract a slightly out-of-trim setting manually. The feel, again, is nicely harmonized, and you need a little rudder pedal to keep things centered, but here the feedback is immediate and clear. The feel I had for how much rudder the plane needed was all I needed to keep the ball centered. Very nice. The basic flight maneuvers I did all showed the plane’s very conventional behavior and easy flyability. Dutch rolls, where you rock the wings while keeping the nose of the plane on a spot in front of you, were crisp and honest, and while we didn’t wring the Sport Cruiser out, when we slowed down, both clean and dirty, the plane retained a high degree of controllability, with lots of aileron effectiveness even on short final at what seems to me a ridiculously slow speed. On the long list of things I really liked about the plane is its visibility. My eyes were everywhere that morning looking for traffic. Eyeballs are notoriously ineffective TCAS devices, but sometimes they’re the best we’ve got, and if you wanted to maximize your chances of seeing other traffic, the Sport Cruiser is the plane you want to be in. It was a breezy day in Sebring, to the point where any pilots would have had to work hard to keep things on the straight and narrow, but the Sport Cruiser was no such challenge. Again, it’s light, but it handles like a much larger single only with a bit more touch required. Hit the speed for touchdown and the plane will settle in for a nice flared landing, and if there’s a little crosswind, as there was for us, a little aileron into the wind while keeping the nose straight with rudder keeps it happy and tracking the centerline. Touchdown was maybe a few knots too fast, so there was a little float, but it was so easy to bleed off, or to keep it flying, that it felt as though I could pick my landing spot and put it right there. And this was on my first flight in it. One concern that many potential owners have about buying an airplane built outside of North America is that it might be hard to get parts and service. I’m not discounting that issue, but the company has done a lot to address those concerns. 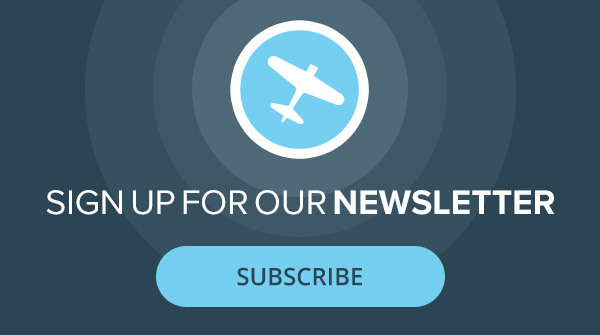 The current distributor, US Sport Aircraft, based at Addison, Texas, is a large, well-run company with what seems like a great culture of customer care. The manufacturer is also in the process of setting up shop in South Florida with the express goal of providing support to the North American market, not unlike a couple of business aircraft, Embraer, with its Phenom jets, and Daher with its TBM lineup, have successfully done. The Sport Cruiser might not be quite as fast or high-flying as those turbine beauties, but for pilots looking for an LSA to transition into and really enjoy flying, maybe even flying places, this is an airplane that’s worth a long look. Conventional and harmonious flight control: It’s a great flying airplane that handles well, even in breezy conditions. Even taxiing is great. Cockpit comfort: From great headroom, shoulder room and clearance from the sides, the Sport Cruiser shines here. And the visibility is as good as it gets. Rotax power: The choice of the Rotax 912 ULS gives pilots a proven powerplant that has a large service network. I should add that Sensenich’s three-blade composite prop is as quiet and smooth as it is pretty. Dynon SkyView HDX: This is a terrific choice for a sport plane, with large, sharp displays, touch or button control, a great little autopilot and all kinds of additional safety utilities. Bringing the factory to the customer: The Sport Cruiser’s established support center in Texas and emerging North American headquarters in Florida are signs that the company intends to be in the market for a long time and to give the existing fleet the support it deserves. The Sport Cruiser we flew for this report was a customer-owned airplane on loan to the factory. It is outfitted with the Dynon SkyView HDX flat-panel system, the Rotax 912ULS and a BRS whole airplane recovery parachute system. Why would I even consider a new, allegedly state-of-the-art plane without the option of fuel injection. Absurd. An ancient technology, prone to carb ice. One cannot buy even a $25,000 car with a CARB! Editor Goyer gave them a rather big pass here. Uhh….Rotax offers a fuel-injected version of the 912 engine. I was lucky enough to be a passenger in a SC this week. It was a long trip from Sun-n-Fun back to Texas. We burned 4.5 gph of 93 Octane MOGAS. It was roomy, comfortable and we carried a fair amount of baggage for two full-sized people. The engine started up instantly every single time. We had Garmin GPS (796), Autopilot, Digital PFD, Engine Monitoring, XM Weather & Radio. My friend bought his 6-yr old airplane for well-under $100k. I think it would be “absurd” to consider his plane “ancient technology” or ignore all the benefits listed in the article. No airplane is perfect, but I think the point of the article is that it’s a lot of bang-for-the-buck. I would like to know where in Florida are their headquarters. Concerning the 120 knot cruise, is this the fastest cruise possible? Or is this at sea level? Does top cruise increase at altitude? In other words at 3,000, 5,000 or higher does the top cruise increase? If so, by how much? Rotax Bing carbs are pretty cool. They do automatic altitude compensation so no manual leaning etc for mixture control. The Rotax 912 ULS engine also likes mogas or avgas and has been a joy to own and maintain. Yes, the Rotax engine has gotten even better over time with more options avail, however my ’08 SportCruiser with the Rotax 100hp motor is still far more advanced than 90% of the GA fleet flying today. We’re loving it. What is the panel mounted annunciatior located at the top left side of the panel, appears http be yellow, and says EMS; what does it tell you? Thanks. The EMS stands for Engine Management System. It’s just an additional visual that one or more of the engine/systems are out of the green range. Most also have a voice annunciation as well as being displayed on the screen. Too cold, too hot, low volts, low or high pressure, canopy unlocked, low fuel, etc. I read somewhere that this plane has a bad safety record. I think it was Aviation Consumer, but I might be wrong. Andrew, before you make statements like you did about this aircraft you should do a little research. I just read the only 35 NTSB reports on this aircraft. The main theme was new pilots making bad decisions and issues not related to the aircraft. In fact this aircraft appears to recover and perform outstanding in critical situations according to NTSB findings. Please be more responsible in your remarks. I read in a different article that the Carbs are located on top of the engine and are no prone to Carb icing. Is this accurate? I’ve got about 60 hours in various SportCruisers. They are fantastic to fly, even on long trips. Their Florida facility is in Sebastian Fl. Airport X26. They are hosting an open house March 24 2018. I plan to stop in and see them as it is only a mile from my house.